Looking for fun things to do for your birthday? Or an easy way to give to charity? 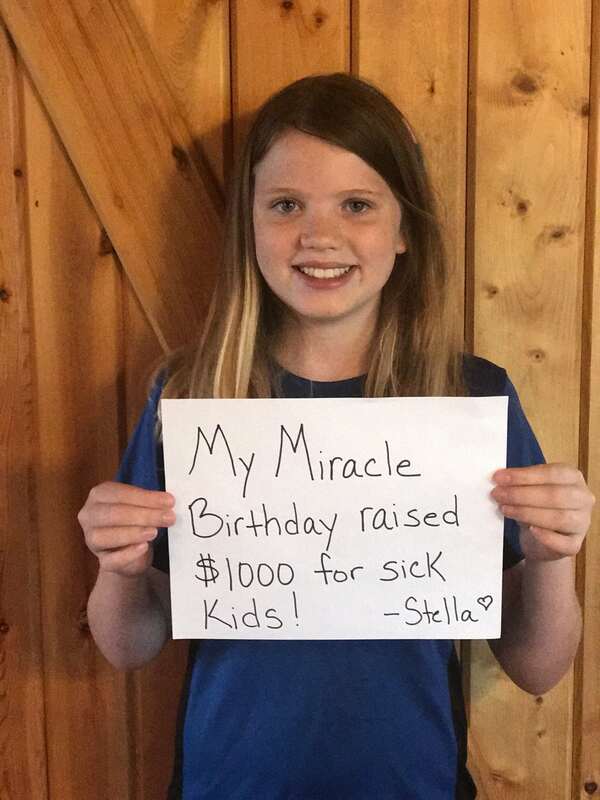 Meet Stella, the 11-year-old that used her birthday as an easy way to give back. Stella joined My Miracle Birthday, a CMN Hospitals fundraising program where participants give charitable contributions to benefit children at their local CMN Hospital. Instead of asking for toys or things she wanted, Stella asked friends and family to gift money and provide donations. Originally setting her goal at $500, Stella took to social media to ask for help and to thank her donors, raising a grand total of $1,000! As one of our youngest participants in the My Miracle Birthday program, we are extremely excited to celebrate Stella’s accomplishment! The funds she raised help provide critical treatments and healthcare services, pediatric medical equipment and charitable care at East Tennessee Children’s Hospital. Anyone can participate in My Miracle Birthday and give back to their choice of one of the 170 local Children’s Miracle Network Hospitals. Visit mymiraclebirthday.org to learn more.